Free Ramin Hossein Panahi and annul his death sentence! 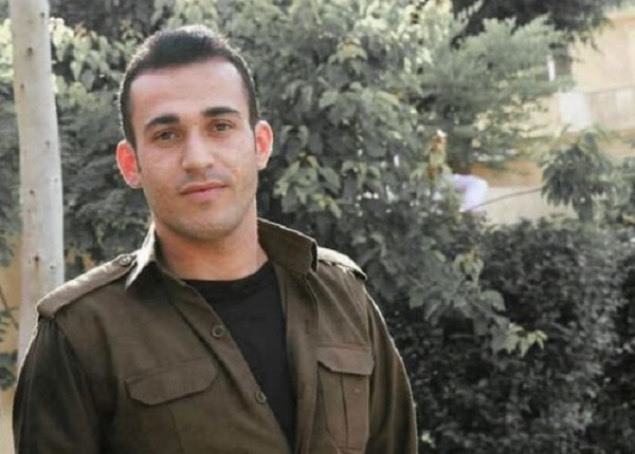 Ramin Hossein Panahi, a Kurdish political activist, was arrested on June 23rd 2017 and transferred to the Sanandaj Central Prison after 200 days of solitary confinement and physical and psychological torture. On January 15th 2018, Branch 1 of the Revolutionary Court in Sanandaj, in Iran’s Kurdistan province, sentenced this political prisoner to death. This verdict was reaffirmed on April 11th 2018 at Branch 39 of the Supreme Court in Qom. Ramin Hussein Panahi’s death sentence set off a new and widespread wave of protests inside and outside Iran. All the Kurdish parties, including the Kurdish parties’ co-operation centre, citizens’ civil and political associations, teachers, writers, artists, various social institutions, poets and dozens of other political and civil organisations in Kurdistan, issued statements and announcements supporting Ramin Hussein Panahi. There were also protests and pickets in Europe and Canada, condemning Ramin Hossein Panahi’s death sentence and expressing solidarity with all political prisoners Iran. Inside Iran several thousand citizens, civil and political activists have signed a petition and a letter condemning Ramin Hussein Panahi’s death sentence. Over 32 former MPs, university professors and lawyers wrote a letter to the head of the Iranian judiciary calling for Ramin Hussein Panahi’s death sentence to be annulled. In addition 24 civil and human rights organisations have issued a statement calling for the immediate annulment of Ramin Hussein Panahi’s death sentence. Following the confirmation of this political prisoner’s verdict, three UN human rights experts released a statement on Thursday, April 19th 2018, demanding that his death sentence be annulled and expressed their concerns about the mistreatment and torture of prisoners in Iran. Amnesty International has also called for his death sentence to be quashed. This entry was posted in National minorities, Political prisoners. Bookmark the permalink.